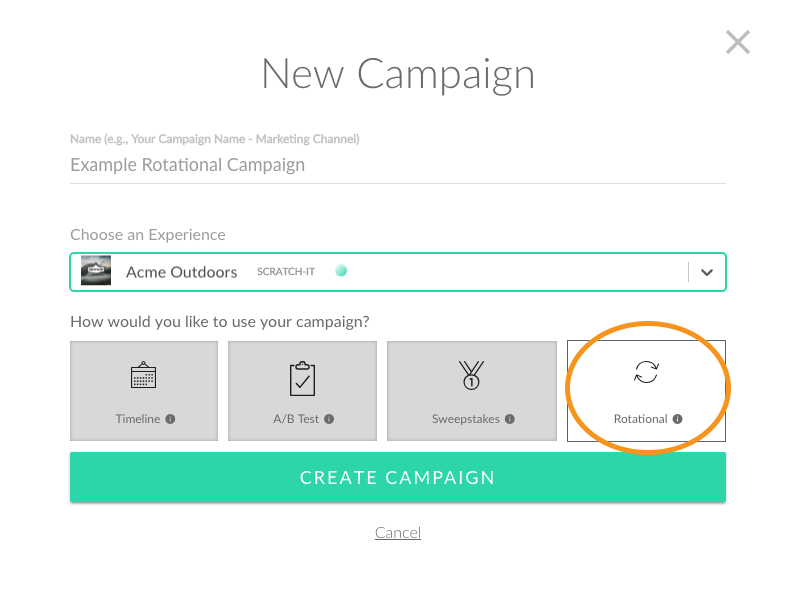 When using the Rotational campaign, your website visitor is presented with one of the experiences in the campaign. Each time the visitor returns, or refreshes the page, they see a new experience. The visitor is not cookied, so they may see the same experience more than once. Once you have your experiences created and ready to go, head over to the Campaign Dashboard. Click New Campaign at the right. Scroll down to Connected Experiences. You’ll see the first experience you added. You’ll want to add more to be able to rotate through them. 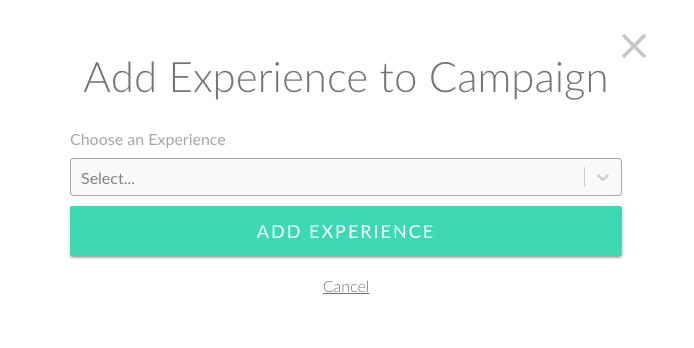 Click Add Experience and select the next experience you’d like to add. Follow prompts to locate and select your Experience. Repeat steps 1 and 2 until you have all the experiences added that you would like to include in this campaign. If you are sharing your Rotational campaign via email, the experience cover images will not be dynamically populated in a user’s inbox. Therefore, you need to create an image to display in your email that will represent your experiences. Click on the Image link at the top of your Email link builder. Upload your Campaign Image, the image that will represent your experiences when displayed in the recipient’s email. Learn how to share your campaign on your website, via social or through email. Need to make edits to your campaign?